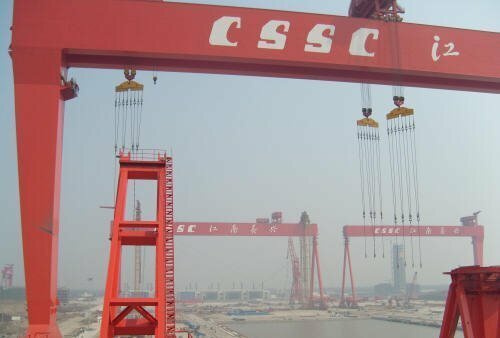 China State Shipbuilding Corporation (CSSC) has signed a letter of intent with China General Nuclear Power Corporation (CGN) and Shanghai municipal government to cooperate on the research, development and investment to develop nuclear-powered offshore platforms. Dong Qiang, president of CSSC said that nuclear-powered offshore equipment will significantly promote the development of China’s offshore economy and transform its domestic shipbuilding industry. CSSC is very likely to build its first platform at Jiangnan Shipyard. CGN has been developing a small modular nuclear reactor called the ACPR50s for maritime use, which would be able to provide power to offshore oil and gas exploration and production. In April, 2016, Chinese shipbuilding conglomerate CSIC confirmed that it will will construct the first nuclear-powered offshore platform at its affiliate yard Bohai Shipbuilding Industry.